The ChainBytes team is excited to reveal our latest Bitcoin ATM: meet the CHAINBYTES + 2 Way Bitcoin ATM. A state of the art cryptocurrency ATM designed for easy compliance and fast ROI. Our team developed this kiosk with both users and operators in mind. The CHAINBYTES + allows users to buy or sell bitcoin and other cryptocurrencies with ease, while providing operators built in hardware and backend solutions for effortless compliance. This plug and play machine is equipped with top of the line components. Also, the kiosk and its user interface can be customized to fit your brands identity. Its small footprint allows operators to install the machine at a wide range of location. One of the most distinctive features of the CHAINBYTES + kiosk is a top-mounted second screen for marketing campaigns. With the second screen you can generate an additional source of revenue by selling ad space. We have partnered with BTM Compliance, a firm that specializes in Bitcoin ATM compliance and regulatory support to help you meet the legal requirements associated with operating a Bitcoin ATM business in the US. For $1000 BTM Compliance will register your Bitcoin ATM operation with the appropriate regulatory bodies and complete other legal processes required so you can start doing business right away. Furthermore, ChainBytes will help our Bitcoin ATMs owners and operators position their business online by including their kiosks on our Bitcoin ATM location directory. This will contribute to our clients SEO and Digital Marketing initiatives. Members of our team have been developing software solutions for the financial services industry for over 2 decades. Since 2012, Our CEO, Eric Grill started working on a state of the art Bitcoin ATM software, which is run by several Bitcoin ATM manufacturers and operators worldwide. ChainBytes has also deployed several successful projects in the blockchain space; including blockchain based digital bill pay and remittance payment solutions, tokenization of real estate projects and bitcoin exchanges. The CHAINBYTES + has already been deployed in several locations. In California, you can find the machine at the Extra Mile Chevron at Fruitridge Road in Sacramento. Additionally, our CHAINBYTES + kiosk facilitated the first Bitcoin ATM transaction using the Belarusian Ruble immediately after the Eastern European nation announced a complete regulatory framework for crypto related activities. Details about the Bitcoin ATM location in Belarus will be revealed soon. 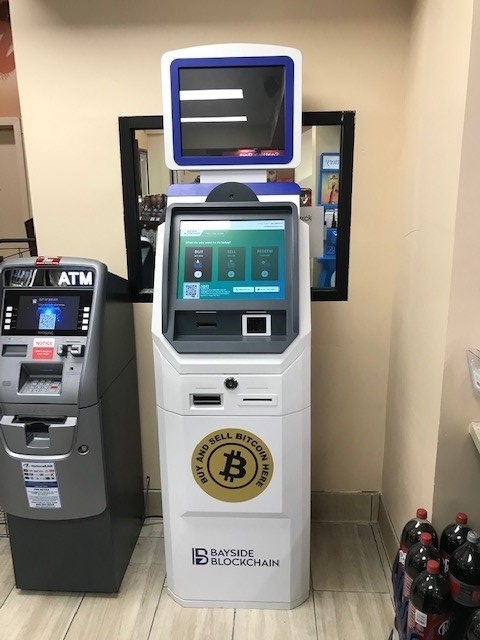 The CHAINBYTES + is the latest addition to our Bitcoin ATM family, which includes our most popular model to date, the STAND TYPE 2 Way BTM, the WALL TYPE 1 Way BTM and our DESKTOP TYPE 1 Way BTM. Depending on your business goals, you can choose to buy or host one of our kiosks. To learn more about our products, click here to book and an appointment with one of our sales representatives.